Purchasing a motorhome or travel trailer is probably one of the most important investments you’ll make in your life. Here at CCRV, we understand the importance of choosing the perfect second home, and we help make the process much easier on you with our Warranty Forever Program. It’s a real warranty for the entire life of your RV, so you can buy with confidence and hit the roads sooner than expected. Our CCRV Warranty Forever Program is the best RV warranty program in the business. When you purchase the RV Warranty Forever Program, you enjoy RV pairs with no deductable. The program pays 100 percent of the parts and labor costs anywhere you happen to be traveling in the United States. Even better, your warranty will never expire. The RV Warranty Forever Program helps you buy with confidence, so you enjoy peace of mind from the moment you leave our CCRV lot through the entire life of your RV. This program is the only true lifetime warranty program in the industry, so you know you’re getting the best deal when you shop at CCRV. Taking advantage of the RV Warranty Forever Program is easy. Simply follow the recommended maintenance outlined in your agreement, and your RV parts and repairs will be covered by the program forever. The maintenance schedule is easy and affordable to follow, so you enjoy an RV that’s in top condition no matter how many years you’ve been on the road. The RV Warranty Forever Program isn’t only available to travelers who purchase a brand new RV. All of the motorhomes, travel trailers and fifth wheels for sale at CCRV are eligible for the warranty program, whether they’re brand-new or gently used. Give us a call, log online or stop in and see us to find out more about the unbeatable RV Warranty Forever Program and all of our top-quality RVs for sale here at CCRV. If you’re an RV owner, and you haven’t heard of RVWarrantyForever.com, there’s no better time to educate yourself on their RV warranty program than today. Purchasing an RV warranty from RV Warranty Forever could save you thousands of dollars down the road and result in a longer life for your precious RV. RV Warranty Forever is a warranty program that is available for nearly all of our new and used RVs at CCRV. Not only do you no longer have to worry about the guidelines of your short-term manufacturer’s warranty, but you don’t have to worry about the cost of repairs on your RV either. Simply perform the scheduled maintenance outlined in your RV Warranty Forever agreement, and your new or used motorhome, travel trailer or fifth wheel will be covered for life. There are no outrageous deductibles (there are actually no deductibles at all), no maximum ownership terms and no exceptions. 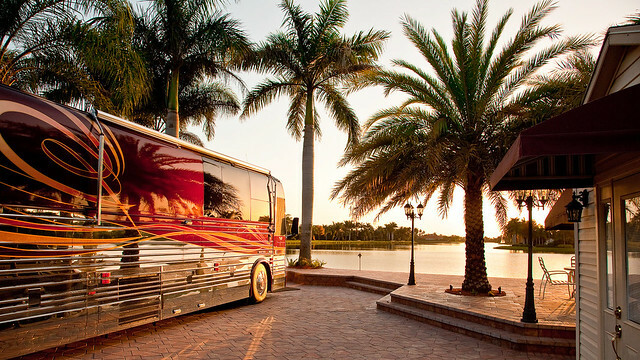 RV Warranty Forever covers 100 percent of your parts and labor costs anywhere in the country. RV Warranty Forever covers just about any repairs you need performed on your vehicle from the wheel cylinders to the heating system, toilet, refrigerator and gas lines. RV Warranty Forever does ask that you perform standard maintenance on your RV to keep it safe for you and your family to enjoy. On an annual basis, they ask that all travel trailer owners seal the roof wherever necessary, lube the axles and hubs, inspect the furnace, check for gas leaks, clean the control compartment and maintain the hot water heater system. Just follow these simple tasks once a year to keep your family safe and your RV Warranty Forever warranty in tact. Here at CCRV — your local Corpus Christi RV dealer — we encourage you to join the RV Warranty Forever program when you purchase a new or used RV from us. Not only do you get their exceptional warranty, but you can also have your vehicle maintained and repaired by our world-class, certified RV technicians. Stop in and start shopping for your new or used Texas RV today.